As I have quite an interest in the history of India, I like visiting places of historical significance. As I was in Hyderabad how could I miss the opportunity to visit the world famous monument of the mughal era, i.e. the Charminar? So I was very enthusiastic to visit this tourist location and in this post I will be sharing my experiences of the visit to Charminar. The Charminar is not only a monument but also a mosque that dates back to 1591. It is listed among one of the most renowned monuments of India. People from all over the world come to visit this magnificent structure. Located at the eastern bank of the river Musi this monument is known globally for its historic significance and architectural excellence. This monument is surrounded by a couple of happening places to visit like the Laad Bazaar to its east and the Makkah Masjid to its South- west. The Makkah Masjid is a structure of awesomeness due to its richly ornamented granite walls. The English translation of the Urdu word Charminar is “four pillars”. The four towers are beautifully ornamented minarets supported and attached to four majestic arches. The minarets are 160 feet in height. The monument is a clear depiction of the Islamic style of architecture. 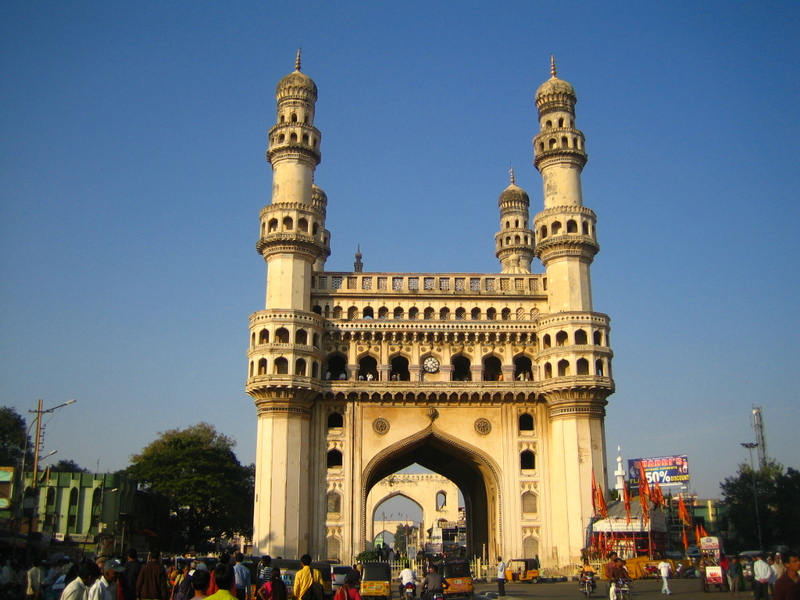 The Charminar is currently taken care of by the Archaeological Survey of India (ASI). The historic significance of this monument lies in its construction on the intersection of the trade routes connecting the markets of Golconda with the ports of the city of Masulipatnam. The structure was intended to act as a Madrassa as well as the Mosque to the people of Hyderabad and nearby provinces. Although built during the Islamic era, the monument’s architecture portrays some traces of Indo- Islamic as well as Persian architectural elements. This place is so famous that in the year 2007, the Hyderabad Muslims residing in Pakistan constructed a miniature quasi replica of Charminar at the prime crossing of Bahadurabad, located at Karachi. 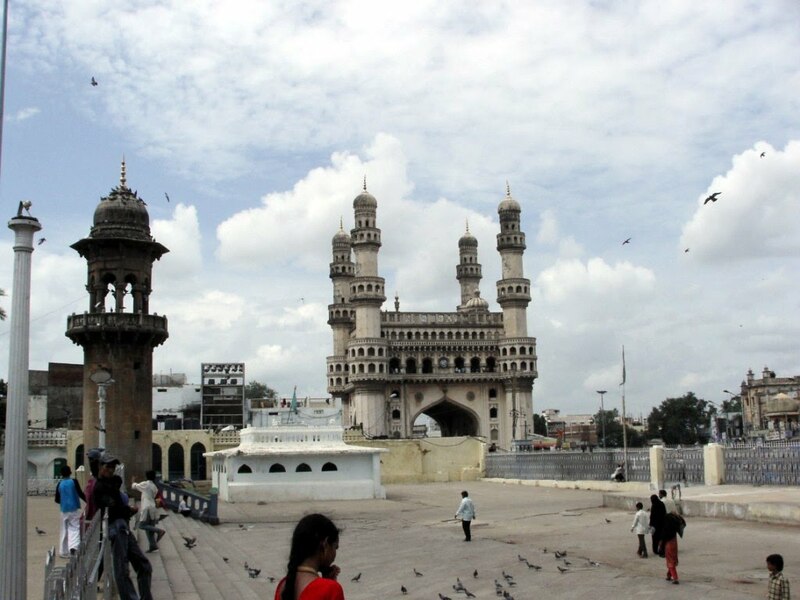 On September 25th and 26th a scaled model of Charminar was displayed at the Westin in Hyderabad. it was made of 50 kilograms of chocolate by Lindt chocolatier, Adelbert Boucher. 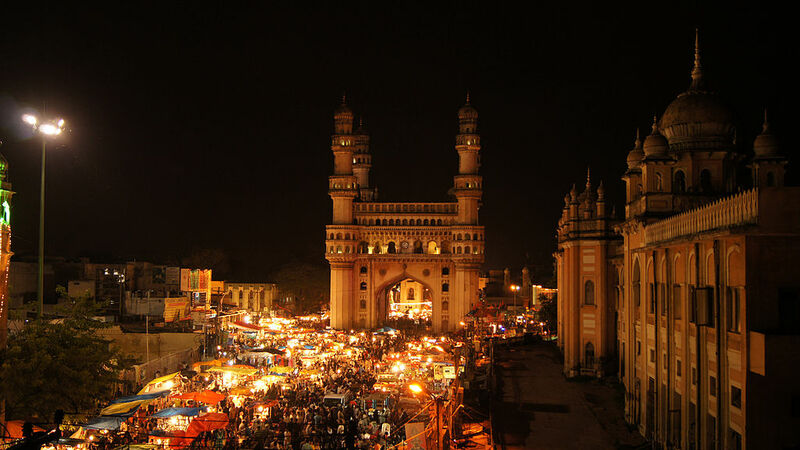 This entry was posted in Attraction, Historic Places, Tourist Place, Travel and tagged charminar hyderabad. Bookmark the permalink.